On March 19, 2013, the Director of Federal Drug Control Service (FDCS) of the Russian Federation, Viktor Ivanov, arrived in Nicaragua to encourage the development of deeper cooperation in curbing drug trafficking. During his visit, Ivanov participated in the groundbreaking ceremony for laying the foundation of a new regional counter-drug law enforcement training center that will be located in Managua and financed by Moscow. The institution will provide specialized training not only for Nicaraguan police officers, but also for participants from neighboring countries. Managua officials are also looking into the possible repercussions of this partnership with Washington. Nicaragua has not experienced the same level of violence and crime as suffered by “North Triangle” countries (Honduras, El Salvador, and Guatemala). Nevertheless, the danger remains of a “spill-over” of the violence from neighboring countries. According to The Economist, the homicide rate in “North Triangle” countries ranges between 50 and 80 murders per 100,000 habitants, compared to the homicide rate in Nicaragua that is as low as 13 murders per 100,000 habitants. Still, the potential for violence is real. Some 70 percent of the three million weapons in the country are illegal. Therefore, it came as a surprise when during the XII Summit of the Tuxtla Mechanism of Dialogue and Agreement in Yucatán, Mexico, on December 5, 2011, Ortega asked the international community for assistance with his country’s drug war. In particular, he requested that the United States and European nations increase their commitment to curb their demand for narcotics, track arms, and chemical sales and to contribute financially to anti-drug efforts as part of a “joint responsibility.”  Russia answered the Nicaraguan call for help, expressing its willingness to invest large sums in the fight against drug-related crimes in Nicaragua. The most recent visit by Viktor Ivanov, the director of the FDCS, took place in late March 2013. 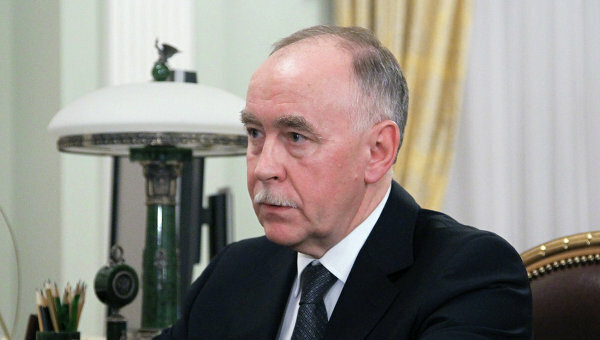 The Russian “Drug Czar” first stopped in Peru to reassure its government of the seriousness of Russian participation and future assistance in fighting drug crime in the region. Then, from March 19 to March 22, Ivanov stayed in Nicaragua, where he opened a new regional anti-drug law enforcement training center in Managua. The Director of the FDCS announced that Russia would continue to assist its partners in Latin America in fighting organized drug crime. Moreover, Ivanov said that he had the opportunity to join the 32nd Extraordinary Meeting of the Commission of the Chiefs of Police of Central America, Mexico, the Caribbean, and Colombia. The event gave Russia even greater access to expand its cooperation and presence in the region. There is no denying that Nicaragua needs strong outside partners in fighting the violence associated with illegal drug trafficking. Historical ties with Russia create a deep well of understanding between both governments. Nevertheless, in a situation where Russia, a country outside of the Western Hemisphere, is engaged in growing relations with a Latin American state, especially in the area of military cooperation, some suspicions may arise regarding the nature of its true intentions. 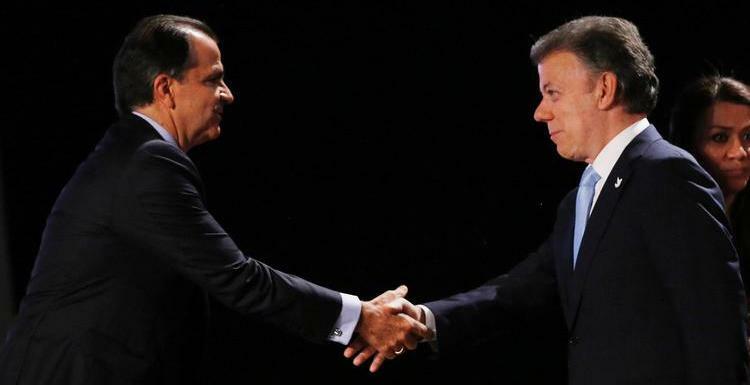 Nicaragua is hesitant about choosing a single long-term partner in its fight against drug trafficking. The country is planning to diversify its sources of financial and training assistance. President Ortega is certainly cautious about denying the influence of the United States in his country, as it could possibly intensify the pattern of economic competition as well as cooperation, especially considering the importance of the U.S. market and its potential for Russian-Nicaragua trade in the future. Nevertheless, Russian assistance to Nicaragua is being viewed as a mutually beneficial matter. For Russia, this is evidence of its rebirth as a diplomatic force in Latin America and is a signal that Moscow is prepared to fight narco-trafficking drugs; Nicaraguans are using the situation to obtain an upper hand in its anti-drug trafficking efforts. “Russia Looks to Expand Anti-Drug Efforts in South America,” Ria Novosti, March 26, 2013, http://en.rian.ru/russia/20130326/180262004.html. 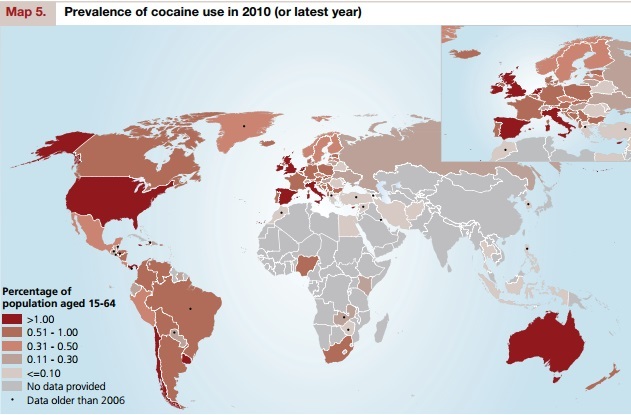 World Drug 2012 Report, United Nations Office on Drugs and Crime, June 2012, https://www.unodc.org/documents/data-and-analysis/WDR2012/WDR_2012_web_small.pdf. Nicaragua, The World Factbook, CIA, https://www.cia.gov/library/publications/the-world-factbook/fields/2086.html. “Russia Nicaragua Bust Drug Cartel,” RiaNovosti, March 11, 2013, http://en.rian.ru/world/20130311/179946683.html. “Encuesta de Opinión Publica Centro américa y República Dominicana,” CID-Gallup, February 2013, http://www.cidgallup.com/Documentos/LOS%20CENTROAMERICANOS%20SE%20PREOCUPAN%20M%C3%81S%20POR%20EL%20CRIMEN%20CALLEJERO.pdf. “Crime in Nicaragua, A surprising safe haven,” The Economist, January 28, 2012, http://www.economist.com/node/21543492. 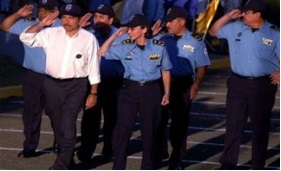 Smith, Philip, “Latin America: Nicaraguan President Warns of DEA’s ‘Unexpected Interests’ and ‘Terrible Things’ Stop the Drug War, August 16, 2007, http://stopthedrugwar.org/chronicle/2007/aug/16/latin_america_nicaraguan_preside. Ramos, Jorge and Yazmín Rodriguez, “Destaca Presidencia logros de Cumbre de Mérida,” El Universal, Decemeber 5, 2011, http://www.eluniversal.com.mx/notas/814014.html. “Respublika Nikaragua i ee otnosheniya s Rossiyey Spravka”, RiaNovosti, December 18, 2008, http://ria.ru/politics/20081218/157503194.html. “Report on the visit to Peru and Nicaragua,” 10п em CФ H Poccuu, Federal Drug Сontrol Service, March 23, 2013, http://www.fskn.gov.ru/includes/periodics/international/2013/0323/103122960/detail.shtml. “Desmantelan red Zeta que traficaba droga a Rusia,” El Universal, March 12, 2013, http://www.eluniversal.com.mx/notas/909674.html. “Cae cabecilla de los Zetas en Nicaragua que traficaban droga en Rusia,” Univisión Noticias, March 12, 2013, http://noticias.univision.com/narcotrafico/noticias/article/2013-03-12/zetas-nicaragua-rusia-narcotrafico#axzz2PEJiIRLh. “DEA considera complementaria ayuda rusa a Centroamérica,” Noticieros Televisa, March 24, 2013 http://noticierostelevisa.esmas.com/internacional/575722/dea-considera-complementaria-ayuda-rusa-centroamerica/#.UVC0uX7xDy0.gmail.